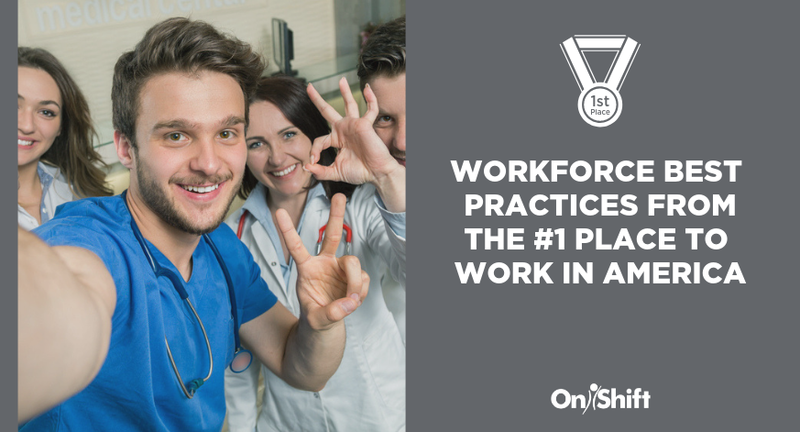 OnShift's award-winning software suite gives you the predictive and intuitive tools you need to find and recruit talent, make quality hires, engage employees and optimize schedules for high quality care, improved productivity and greater profitability. Are you tired of endless phone calls and emails trying to connect with job candidates? Only OnShift® Text2Hire™ leverages artificial intelligence to automatically book interviews with job applicants, dramatically reducing time-to-hire, minimizing no-shows and increasing the number of new hires. Say goodbye to scheduling hassles. 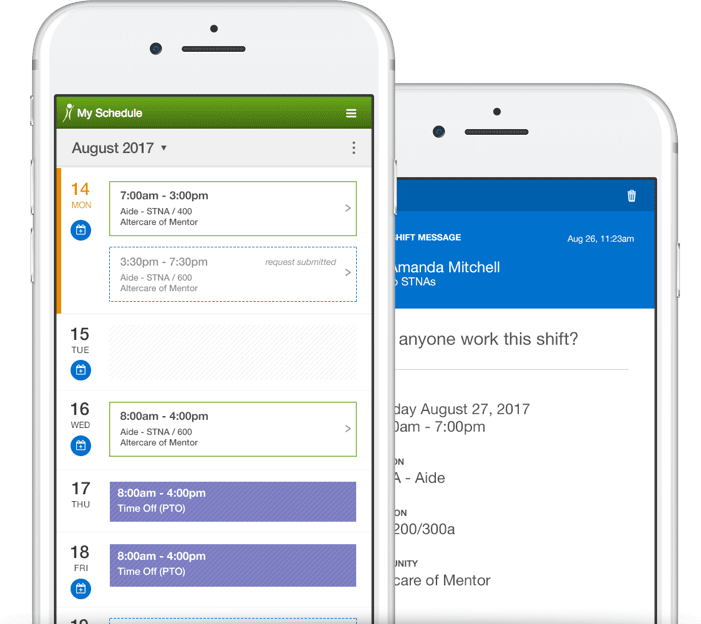 Only OnShift® Schedule™ provides easy-to-use, proactive tools to help your communities schedule employees, predict overtime to lower costs and fill openings to staff properly, each and every shift. Because An Engaged Workforce Works! OnShift® Engage™ focuses on what matters most - your people - to drive success. 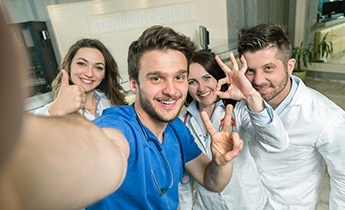 Our modern and easy-to-use employee engagement software helps providers measure staff satisfaction, capture employee feedback and reward contributions to fuel an engaged workforce. Help employees when they need it most. 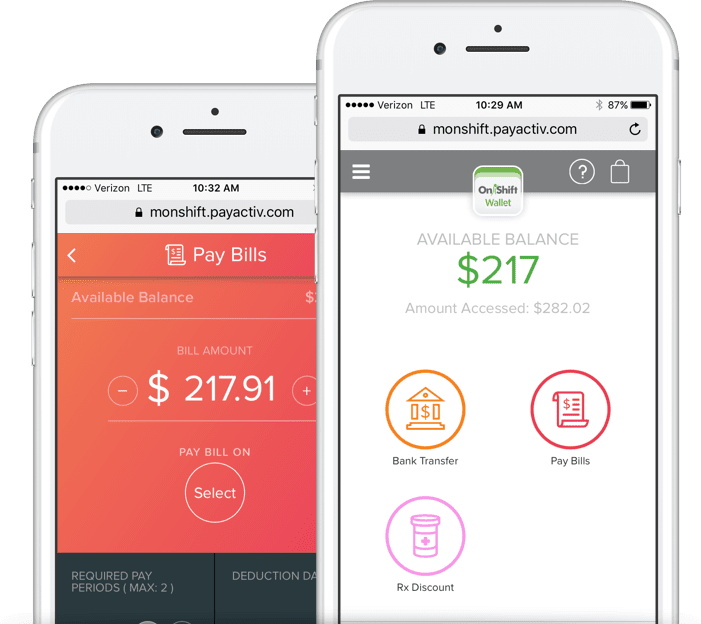 Only OnShift® Wallet™ gives employees financial peace of mind by providing access to their earned, but unpaid income between paychecks—all without any financial risk to your organization. Make informed staffing decisions based on data, not guesswork. 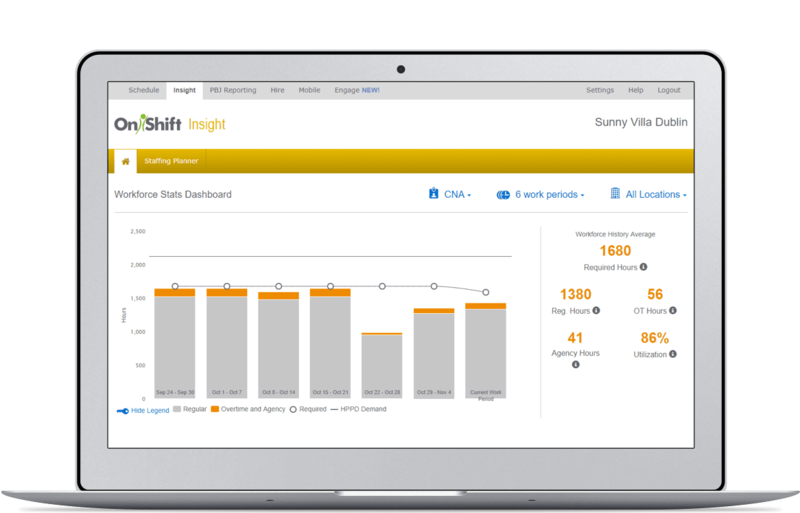 OnShift® Insight™ analyzes employee utilization and proactively recommends positions to hire for more consistent staffing and better outcomes. 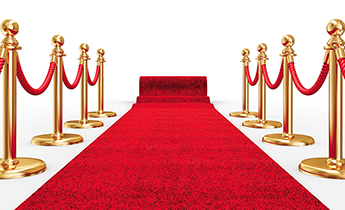 Skilled nursing providers: ensure you receive credit for all the care you provide. 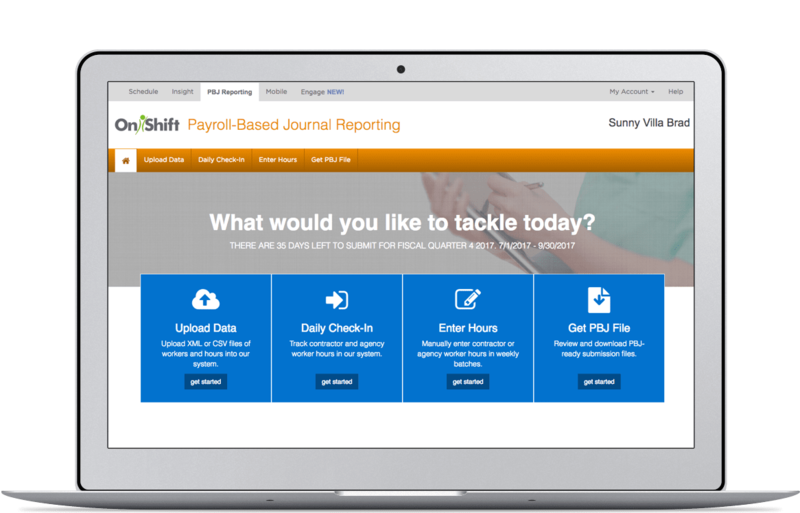 Easily collect, review and submit all required staffing information to CMS with OnShift's Payroll-Based Journal Reporting software. OnShift's deep knowledge of the senior care workforce is reflected in our predictive, intuitive software and proactive services that help you achieve ongoing clinical, operational and financial value. Eliminate complex processes and manual tasks by streamlining hiring, scheduling and employee engagement. 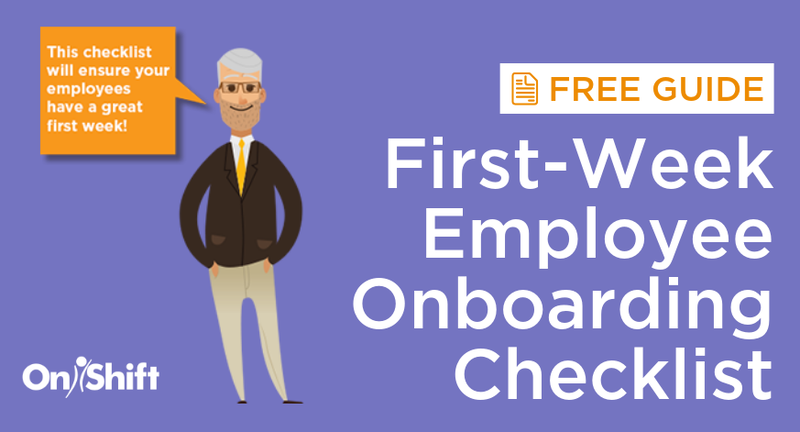 Identify best-fit hires, balance schedules that right-size staff, eliminate overtime and engage employees to minimize turnover. Develop a workplace culture that fosters communications, promotes work-life balance and rewards contributions. Consistently staff for quality care with real-time staffing visibility, proactive notifications and the ability to fill shifts in minutes. 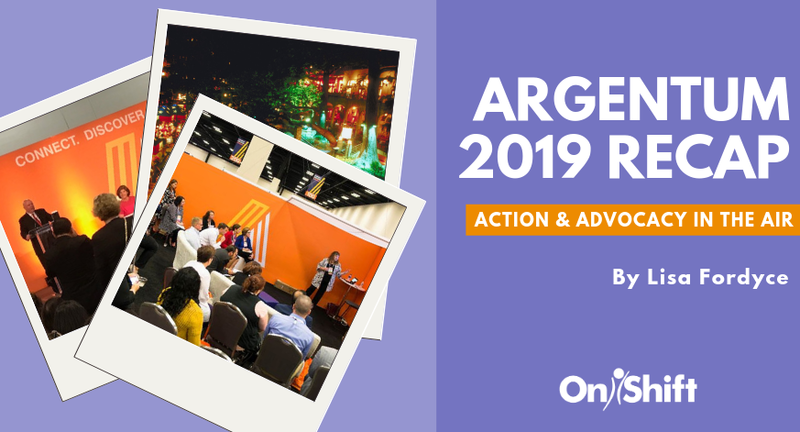 Get the tools and best practices you need to stay on top of changing regulations and meet staffing compliance demands. Our experts work hand-in-hand with clients, providing labor management best practices to ensure sustainable value.